Fort Mill, SC, February 7, 2018 – As RELiON Battery continues to grow, the company has expanded its team into two new areas – Whittier, California and Shenzhen, China. The expansion of the company's locations is part of RELiON's continued investment in meeting the engineering demands for high performance energy solutions. The company, headquartered in Fort Mill, SC, has offices on three continents and continues towards global expansion. The Whittier, CA campus is the all-new RELiON Technology Center, where the best and the brightest engineers in the industry develop new product lines, performance test RELiON batteries, and operate as the hub for all technical support. The technology center is housed in a historic building, dating back to the 1940s, that has been completely restored. The technical team, already located in the Los Angeles area, uses the Whittier campus to simulate real-life applications of each RELiON battery and set up field tests. Construction of the state-of-the-art office in Shenzhen, in southeastern China, began in mid 2017, with an official opening in January 2018. The move to open a centrally located office in China marks an important milestone for the company, aiding in the goal of enhanced international operations. 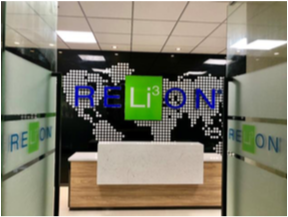 The RELiON Asia-Pacific Office will be used by executive leadership, as well as the global sales team to support international relations and facilitate even more growth in the eastern hemisphere. communications with our partners around the world," said RELiON CEO, Paul Hecimovich. 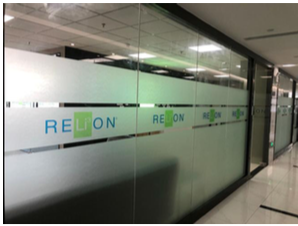 The new office expansions now place RELiON in ten cities or provinces across the globe. With distributors and partners on every continent, RELiON has developed a strategic network with product available anywhere in the world, redefining how to service current and future markets. products continues to pave the way forward to a greener and more efficient future for energy storage. For more information on RELiON, visit www.relionbattery.com.